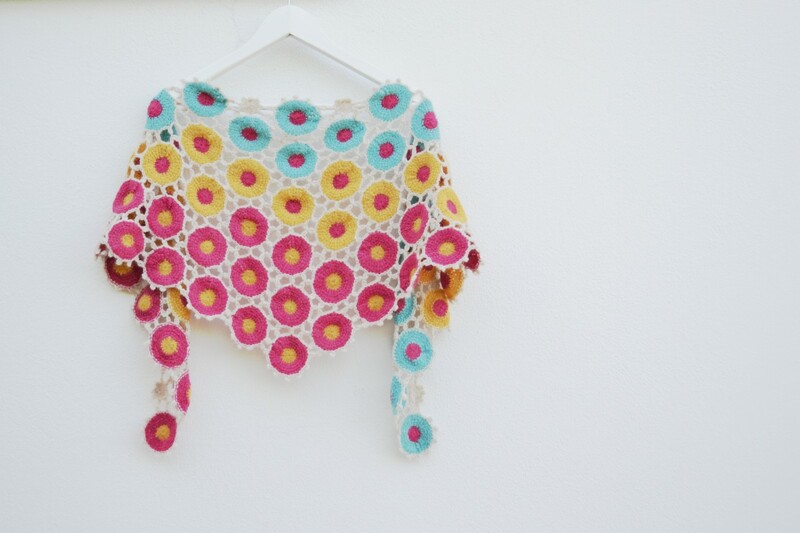 I am a huge fan of motif crochet. It it so relaxing! The whole process from start to finish lasts about 15-20 minutes (per motif), giving you the satisfaction of getting things finished. And you go on and on for as many motifs as your project requires. This is why I decided to find a way to crochet motifs using the Tunisian crochet technique too. The result of my exploration is in the two new patterns I have just released: Tunisian Motifs and Tunisian Flowers. Two different types of Tunisian crochet motifs are demonstrated in these patterns, both in fully written out instructions and a photo-tutorial. Tunisian Motifs, a tutorial, which explains how to crochet motifs in one color and join them as you go. 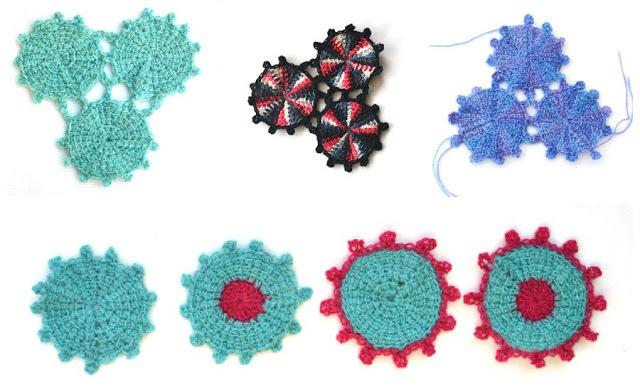 Each motif has only two yarn tails: starting and ending. The pattern also includes four different shapes, with yardage estimates, so you can easily crochet the wrap you prefer: a scarf, a stole, a shawlette or a shawl. 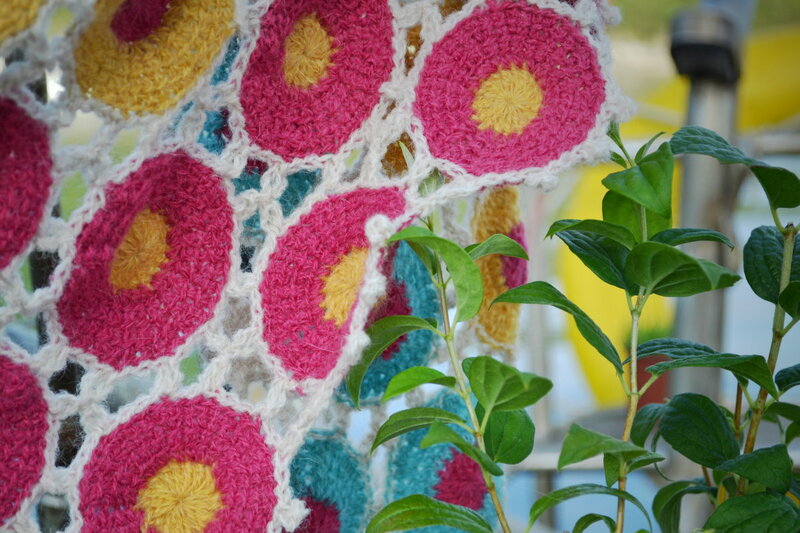 Tunisian Flowers, a kerchief, based on a modified version of the first motif. These motifs have a contrast color center and a contrast border, and are joined as you go. The pattern also includes a blank layout to colorize your own version! Both patterns can be mixed and combined, which can give you four different types of these motifs. 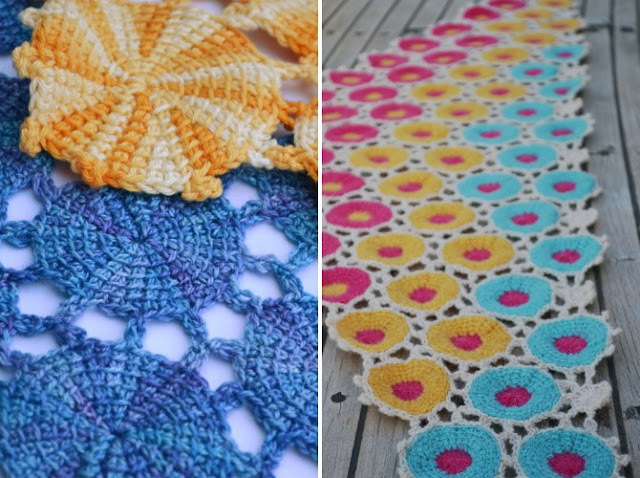 My personal favourites are solid-colour motifs, which look like spinning wheels! They are made of variegated yarn and highlighted with the contrast edging, which is an interesting solution for stripy yarn! Interested? Join our CAL in Cup of stitches group with the discounts and gifts for participants! Happy crocheting!